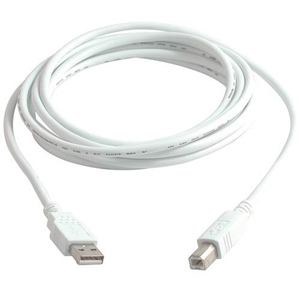 Perfect for connecting all of your USB devices, A/B cables are designed to connect from the USB port on a hub, PC or Mac to your USB device. These fully-rated universal serial bus cables are backwards compatible with USB 1.1 and 1.0 devices and provide transfer rates up to 480Mbps depending on USB version. USB cables from Cables To Go come in a variety of colors to coordinate your entire connectivity solution.